SEC. VI. CUCULCAN. 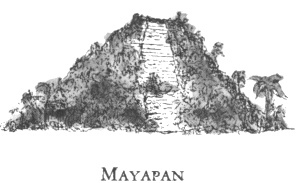 FOUNDATION OF MAYAPAN. 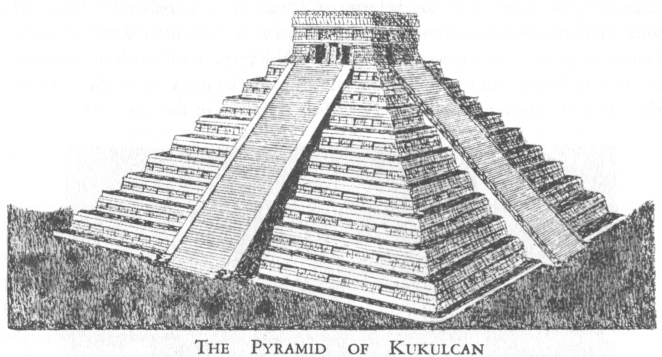 The opinion of the Indians is that with the Itzás who settled Chichén Itzá there ruled a great lord named Cuculcán, as an evidence of which the principal building is called Cuculcán. They say that he came from the West, but are not agreed as to whether he came before or after the Itzás, or with them. They say that he was well disposed, that he had no wife or children, and that after his return he was regarded in Mexico as one of their gods, and called Cezalcohuati [Quetzalcóatl]. In Yucatan also he was reverenced as a god, because of his great services to the state, as appeared in the order which he established in Yucatan after the death of the chiefs, to settle the discord caused in the land by their deaths. Cuculcán lived for some years in this city with the chiefs, and then leaving them in full peace and amity returned by the same road to Mexico. 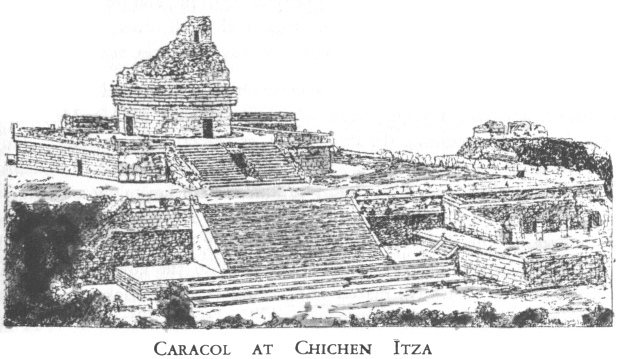 On the way he stopped at Champotón, and there in memorial of himself and his departure he erected in the sea, at a good stone's throw from the shore, a fine edifice similar to those at Chichén Itzá. 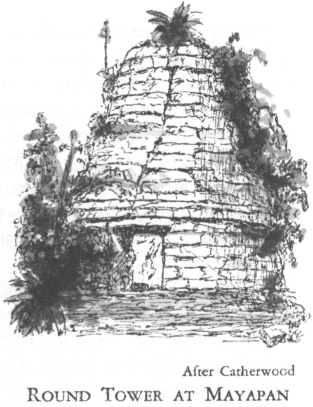 Thus did Cuculcán leave a perpetual memory in Yucatan.